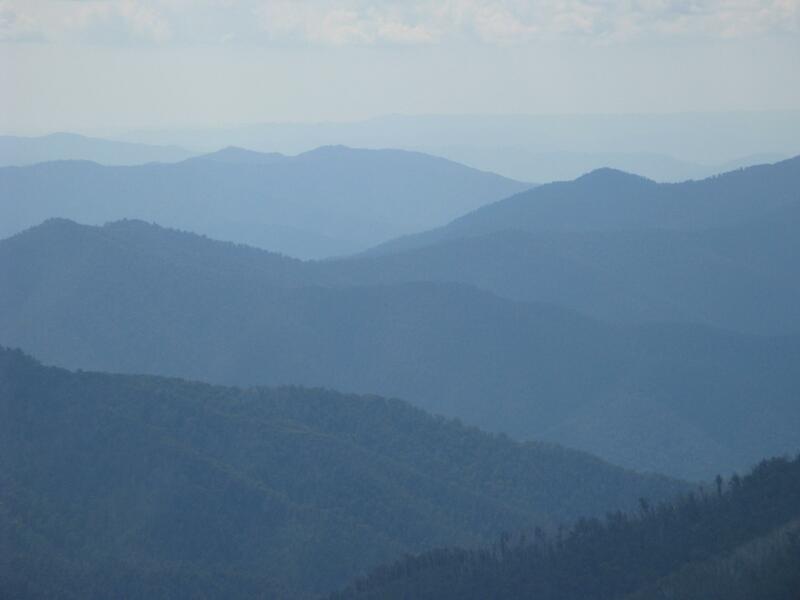 Today is “Tree Tuesday” and my thoughts go to the incredibly beautiful Snowy Mountains, the highest mountain range in Australia. 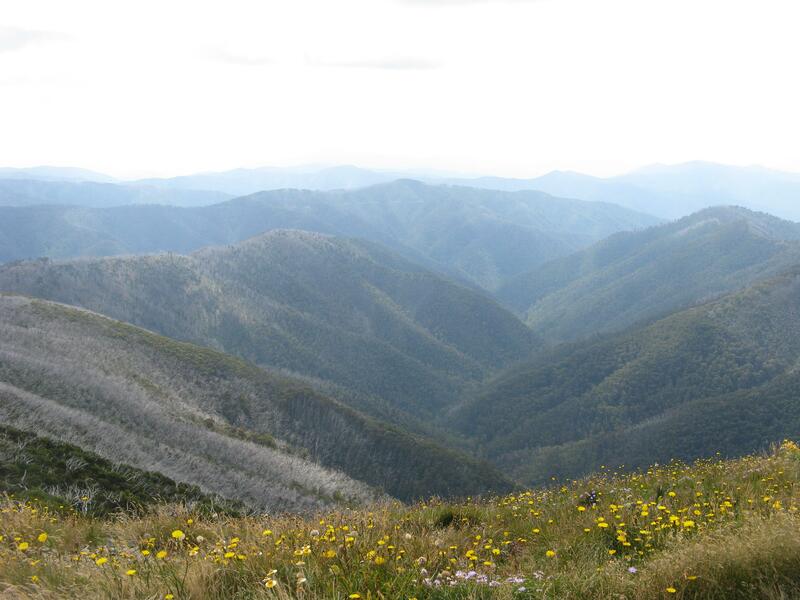 It is the only alpine area in Australia and becomes a winter wonderland from July to September. During the rest of the year it is a trampers delight and in spring a riot of wildflowers. 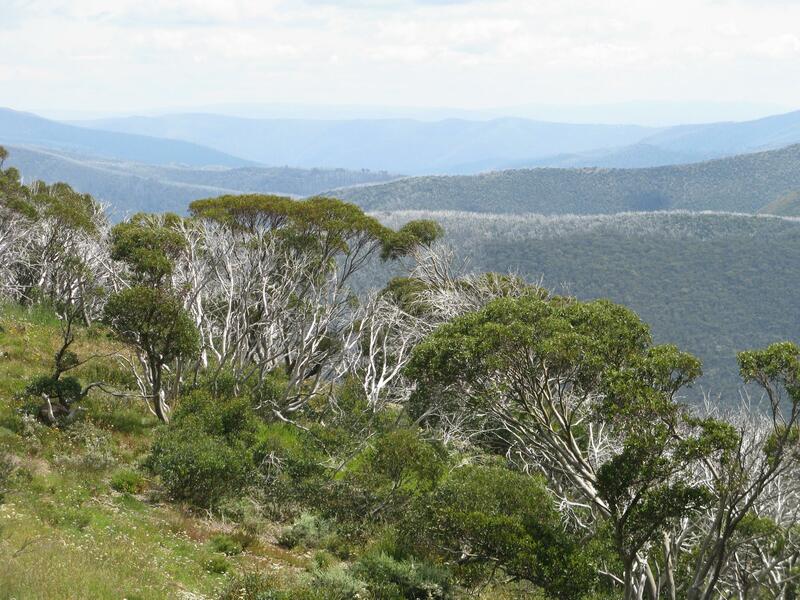 The snow gum is a stark beauty of a tree dotting the landscape. There are a number of these huts that trampers and skiers can use. Very basic, but shelter from the elements and a large stone fire-place with plenty of fire wood around. But just a minute all is not well in this paradise. 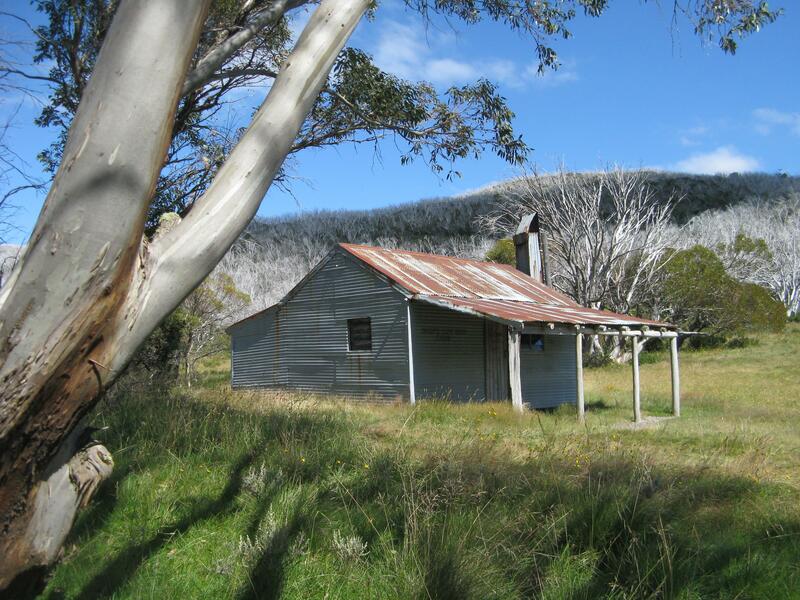 Look behind the hut, do you notice all the twiggy, bare branches spreading like a rash up and over the mountains? That is the sad reminder of a raging, out of control bush fire that swept through in 2003 leaving behind utter devastation. (Click here to see the terrible devastation back then) The brave people of the SES and fire service managed to save this hut and most of the others. If you look to the right of the hut you will notice some regrowth. Now they are going through it all again with fires raging out of control and threatening the charming alpine villages in the ski fields. Thank you Jeff of “JSod Photography” for starting this challenge. The first photo is from another world. It looks so clean and beautiful!